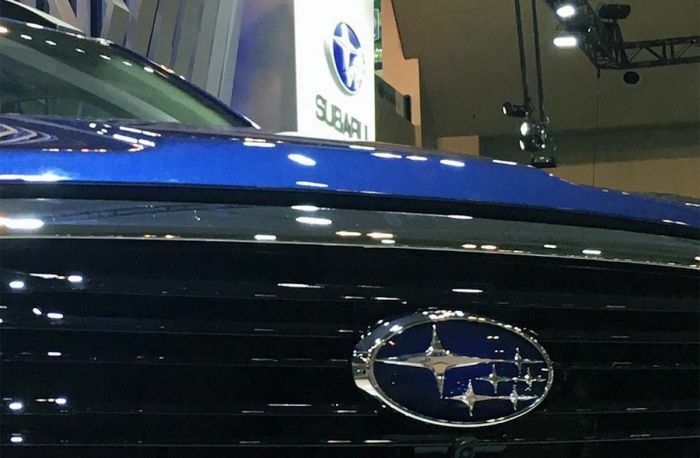 We know a new Subaru Hybrid will launch later this year on an existing nameplate’s platform. We don’t know which model in the Subaru stable it will be. The all-new 2019 Subaru Forester is making its debut at the New York International Auto Show on March 28. Subaru could decide to launch the new hybrid vehicle in the 2018 Crosstrek or all-new Forester model. Crosstrek was the first Subaru Hybrid model and was discontinued in late 2016 due to slow sales. The Japanese automaker has not confirmed which model will get the hybrid technology. It’s speculation, but Subaru may decide to go away from the Crosstrek hybrid and make the redesigned 2019 Forester the model to get it to compete with the new Toyota RAV4 Hybrid. Toyota, which owns 16.5 percent of Subaru Corporation, is actually helping Subaru compete with some of their own hybrid models. Subaru’s participation in a joint venture with Toyota, Mazda, Suzuki, Daihatsu, and Hino will streamline their PHEV and EV development. Subaru has their own in-house electrification project but will tap Toyota technology for their new hybrid. It will be mated to a Subaru boxer engine, rather than a transversely mounted Toyota powerplant. Subaru chief technical officer, Takeshi Tachimori confirmed, Subaru’s new plug-in hybrid will pull largely from the Toyota Prius Prime's system. ”For our plug-in hybrid to be introduced this year, we have used Toyota's technologies as much as possible," Tachimori said. The 2019 Forester is next to get the brand’s new Subaru Global Platform (SGP) which will transform the small SUV with improved driving dynamics, a quieter cabin, and improved safety because of it’s higher rigidity and strength. It will also make it ready for new engine technology. The new SGP can be used to design a single concept for development of all models, adaptable to electrification in the future. All Subaru vehicles are able to be designed with gasoline engines, hybrid powertrains, plug-in hybrids, electric cars, and other types of alternative power units for which demand will increase further. The all-new fifth-generation 2019 Subaru Forester will be unveiled in New York on March 28 and arrives in showrooms October 2018. Will the next-generation Forester be the Subaru model to get the new hybrid technology? Stay tuned. I have not heard about those specific engines Big Engines. It's likely Subaru is developing those smaller turbo engines for future hybrid powertrains and plug-in hybrids around the globe. Thanks for reading!